Sharp announced its Aquos Crystal not too long ago and decided to take a gamble with its aesthetics. Save for the bottom of the smartphone, the Aquos Crystal had one of the slimmest bezels that you ever laid your eyes on in a smartphone. Though it didn’t impress that much in the hardware department, you can bet everyone started talking about the device because of the direction the manufacturer took. This time, a majority of the smartphone populace is going to be echoing whispers about its latest concept phone called Corner R.
The latest concept from Sharp is called Corner R and it takes advantage of the company’s Free-Form Display technology. What this particular technology does is it allows IGZO LCD panels to be cut into various shapes and sizes, which is how the company was able to create the appearance of the mobile device that you see in the images. There is very little information on what sort of hardware is running inside its hood, with the only pieces available to us is that Concept R features a 5.2-inch 1080p panel. 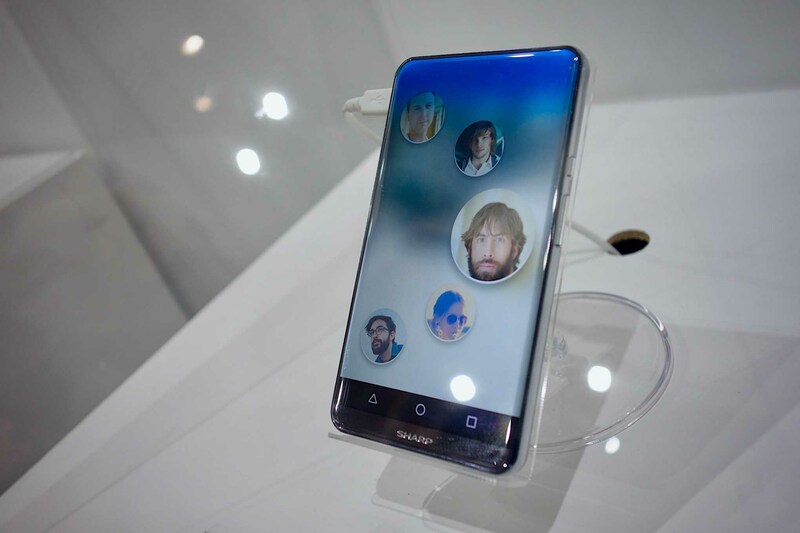 Sharp originally stumbled onto a lot of difficulty with its Free Form Displays, and it was a very clever tactic to use this approach with a smartphone. Since a smartphone has a higher chance of actually selling, why not apply this particular technology to a phone? 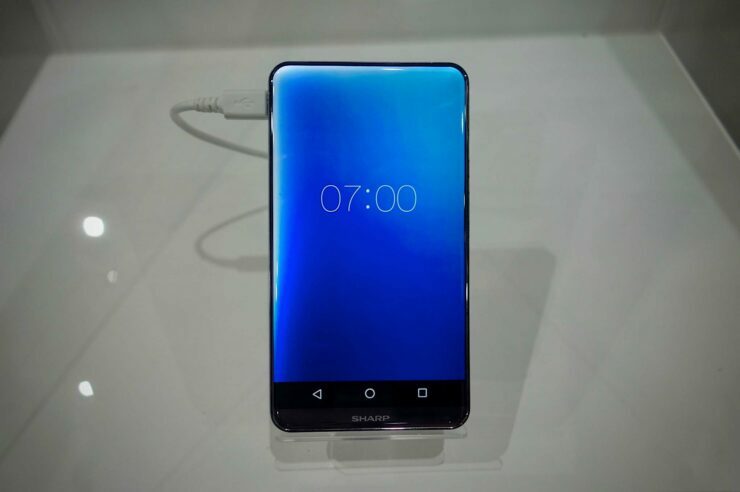 After looking at this device, it is clear that the manufacturer has upped its game in making the next mobile device look even more unique than its predecessor. Unfortunately, since it is still a concept, it is not going to be sold. Sad for us that Sharp didn’t divulge details on when it plans to start selling this phone either.